Execution algorithms have become popular for foreign-exchange (FX) trading in recent years, driven by strong uptake among hedge funds, market makers and speculators. Not wanting to be left out of this trading technology arms race, Greenwich Associates is seeing increased algo usage by long-term investors and corporate end users. For these traders, algorithms are sophisticated tools that allow them to intelligently access multiple liquidity sources, reduce information leakage and improve trading performance. FX investors have long had the ability to access their market directly via electronic channels, with most trades routed to and matched on multi-dealer platforms. Despite the market’s heavily electronic nature, however, automation via trading algorithms has until now been limited. While dealer relationships remain important—given the research, credit and other non-execution services they provide—longer-term investors are demanding a level of increased control and transparency into the trading process that only automation brings. 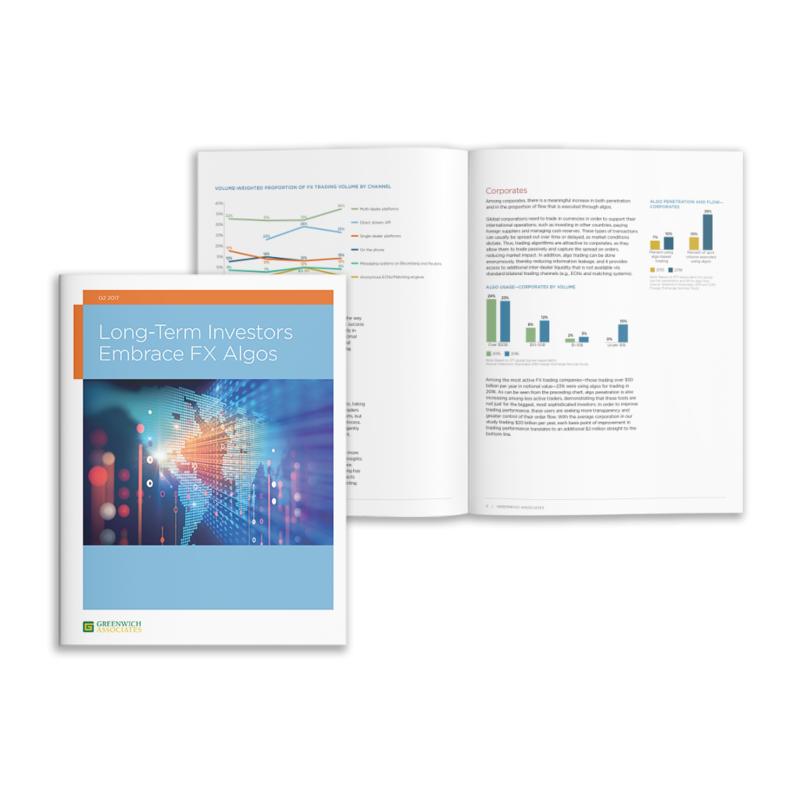 Catalyzed by a growing focus on best execution, long-term investors are increasingly turning to algos and transaction cost analysis (TCA) to optimize their trading performance.